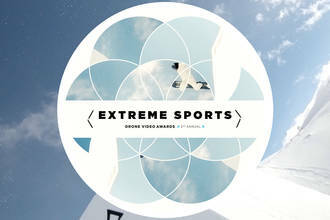 Congratulations to our 2nd Annual Drone Video Awards Extreme Sports Nominees! This year's nominees are JZFPV, LukeMaximoBell, JohnnyFPV, azure_co, and memmi. Description: 2nd ANNUAL DRONE VIDEO AWARDS’ EXTREME SPORTS CATEGORY NOMINEES - Filming X-Games Gold Metalist | Mega Ramp - JZFPV Matt Bush - World of Free Solo Climbing - LukeMaximoBell A New Perspective (Audi Nines 2018) - JohnnyFPV Crystal Clear Water, Summertime, Surfing, Jetskis, Boats & Dolphins in WA - azure_co Done Drifting - East Coast Bash 2018 - memmi Want to vote for your favorite video? Check your email! All AirVūz content creators will have received a message from us with a personal voting portal. Follow the link, add your email’s ‘unique access password,’ and get voting! Content creators will have the opportunity to place their votes for the best drone videos in the world between Monday, January 14th, 2019 and Sunday, January 28th, 2019 (voting closes at 11:59pm CST). Only one entry per registered content creator will be accepted in the voting for the best drone videos in the world. The winners of each category of the 2nd Annual AirVūz Drone Video Awards will be announced on AirVūz Live on Facebook on Monday, February 18th, 2019 at facebook.com/airvuz. Select the following link for more information about the contest - www.airvuz.com/2nd-annual-drone-video-awards TO VIEW THE FULL VIDEOS OF OUR EXTREME SPORTS NOMINEES, CLICK HERE. CONGRATULATIONS TO ALL OF OUR 2ND ANNUAL DRONE VIDEO AWARDS’ NOMINEES!